Whether it’s for Boxing, MMA, Kickboxing, Muay Thai or other combat sports, make sure you keep up to date with the latest gear and equipment each month. Before we start we’d also like to add that this month we launched the Fight Quality Patreon page! Patreon is a website where you can help support content creators like us to do what we do best, and in return get a load of cool rewards. 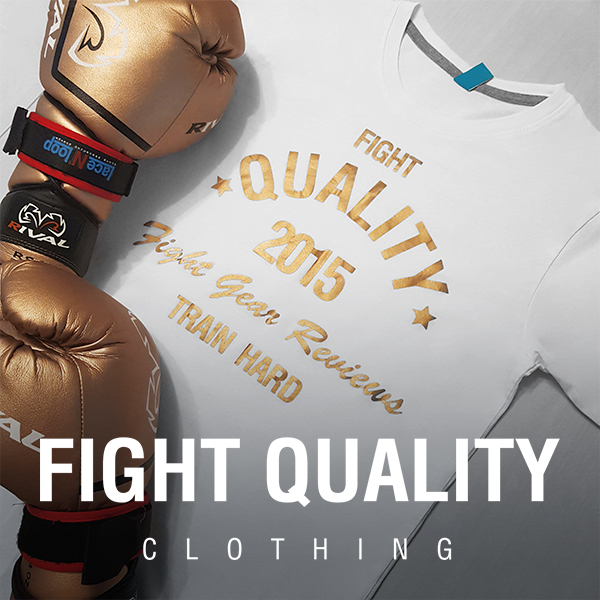 Everyone who agrees to help us, no matter the amount, will receive a 20% off discount code on any fight gear you buy from our friends over at TKM sports, or for those of you who want to help us out a bit more, you can earn yourself a Fight Quality T-Shirt! Anyway, back to the post. Here’s the latest new gear from some of the top brands in the industry. Some great looking gear from Cahoonas this month. The SwiftFists gloves come in both Velcro and lace-up versions, both looking very sleek, as well as their new MMA gloves, which come in a fierce and vibrant yellow. Not a new product, but Kimurawear have decided to bring back their Canadian MMA shorts due to popular demand. So if you’re from Canada yourself, why not show your pride? Revgear have developed some great looking shins here, using the same factory as Danger Equipment. They aim to be stylish as well as form fitting and having great usability. UK Muay Thai brand Tanko have finally released the first wave of their own gear. We heard great things about the gloves from Fighter Andrew Lofthouse when we did our post The Best Boxing Gloves for Muay Thai – According to UK Fighters, so it’ll be interesting to see how the gear is received. Fresh looking gear from Title this month with their brand new Command range. We think they look pretty cool! A few new bits here from Venum. We’re liking the ‘vintage’ appeal to the Venum Giant sparring gloves, but also take a look at their new Fusion range of gear, as well as their recent Bangkok Inferno Muay Thai shorts. Warrior Fightwear have been working away on a few new bits too, most notably their new Warrior Storm PU Boxing gloves, which we’ll be reviewing soon! More glove and short colours this month, with Silver Fight team gloves and new Carbon short colours. They’ve also released a new short design, the Terminator Muay Thai shorts, which match greatly with their existing Terminator boxing gloves.